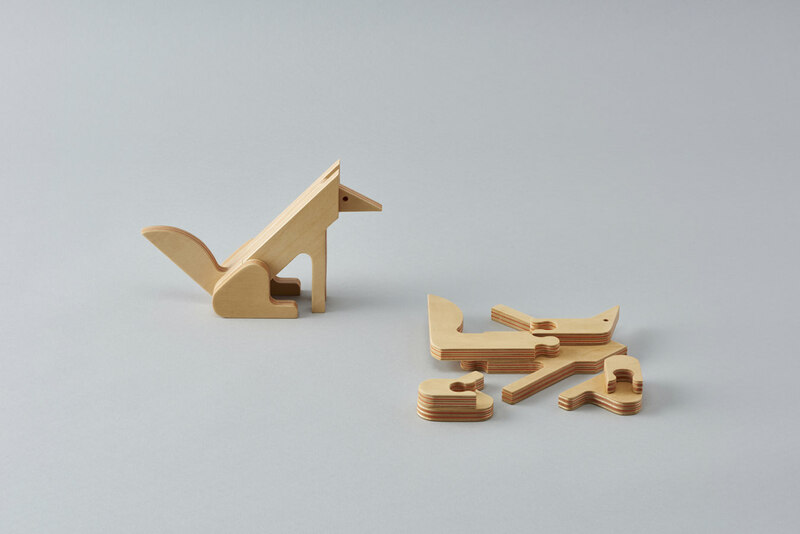 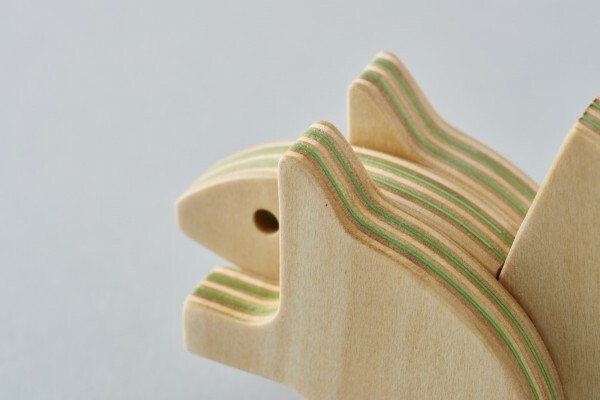 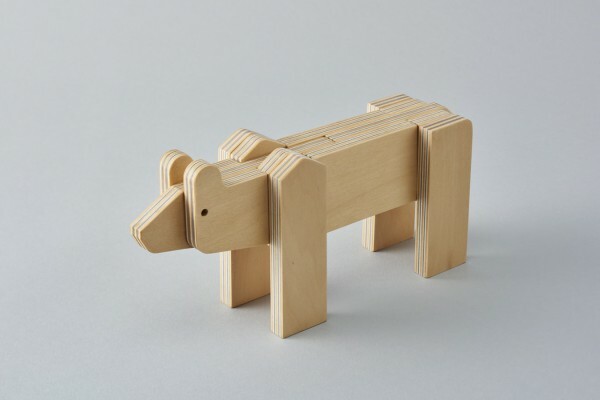 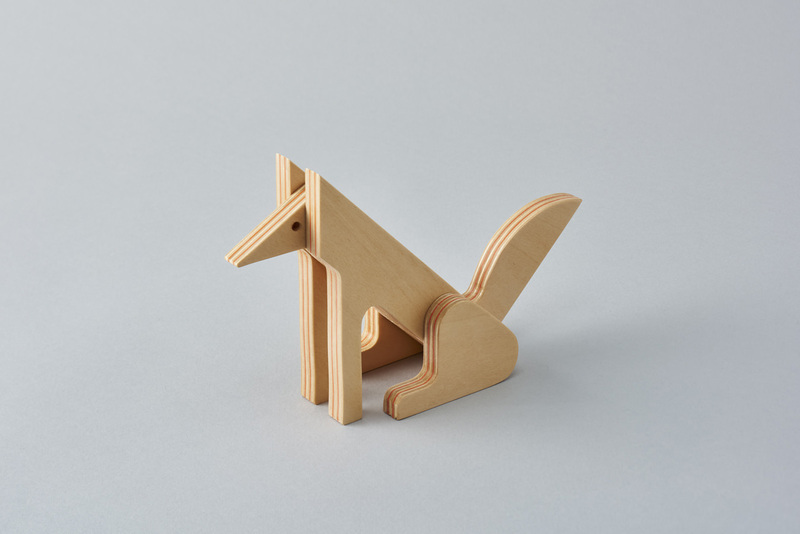 An animal block puzzle of a kitakitsune (Ezo red fox) that lives in Hokkaido in northern Japan. 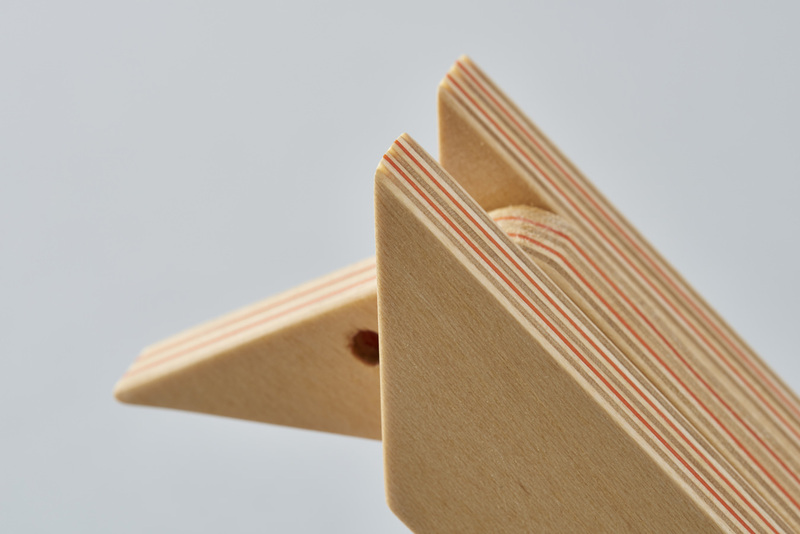 Using a triangle as the base, the form is simplified in clean lines. 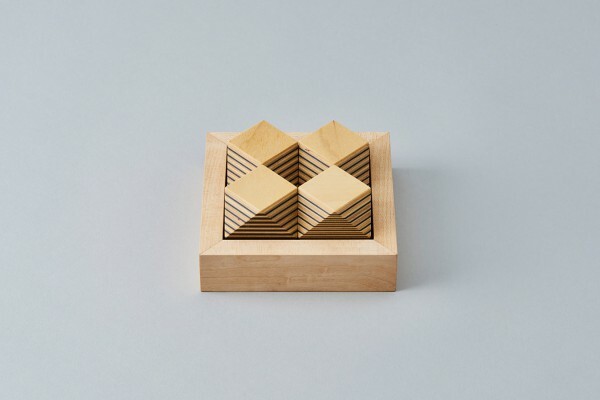 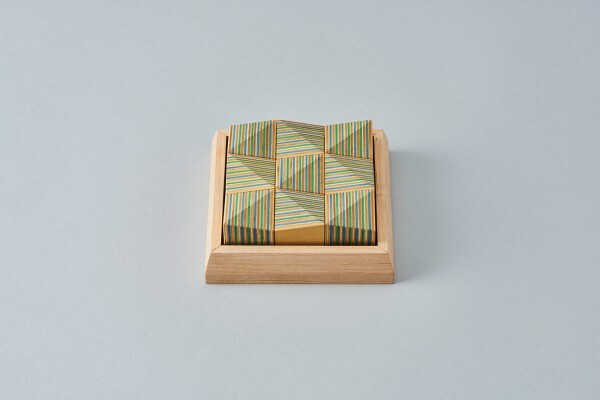 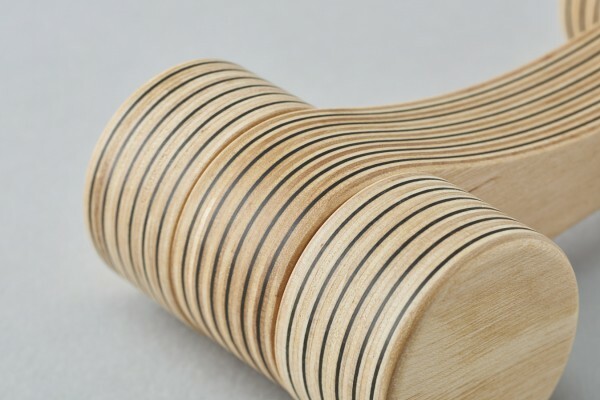 It is designed as an interior objet.